I am not a very religious person but I do enjoy many of the holiday traditions from my childhood. My favorites always revolved around a great meal. Even though the holidays are completely different here I do miss Thanksgiving turkey, Christmas ham, and Easter roasts. Because most of my meals are “local” — meaning, wherever I am at the time — it is often hard (but not impossible to) replicate western holiday traditions while traveling in the east. Sometimes you have to improvise, but this Easter in Bail was one to remember. I am currently on the Indonesian island of Bali in the sleepy little artist community of Ubud. You may know it as the “Love” town from the book “Eat, Pray, Love”. It is certainly a beautiful, serene and very spiritual place but not exactly thick with Sunday Roasts. But, because I believe every day should be an adventure I decided to go into town to find what I could find. 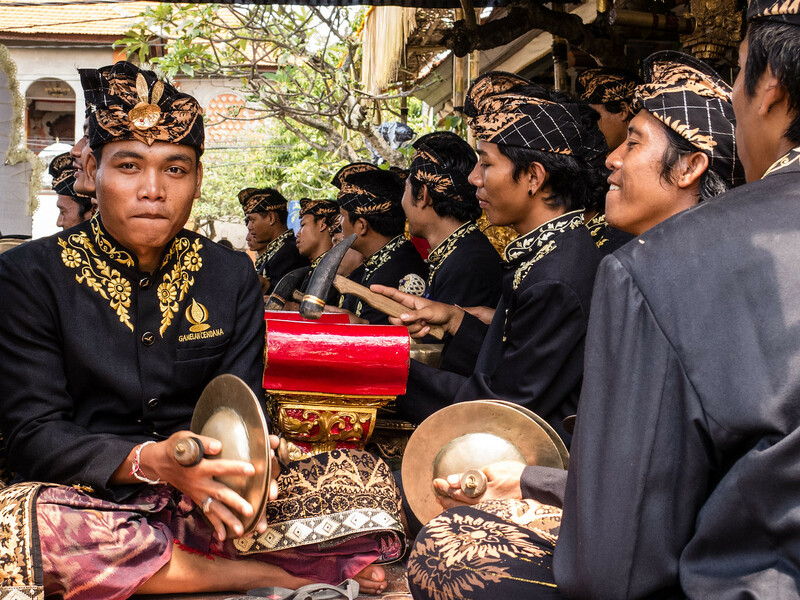 One that has been impossible to miss in Ubud for the last few days has been the party atmosphere surrounding a double royal wedding. Musicians at the end of my road have been playing traditional Balinese music for the last few days and the royal palace is awash in flowers and signs displaying good wishes. It is quite beautiful and honestly, indecipherable to me but I have been enjoying the pomp and circumstance. After I passed the gauntlet of celebrants and gawkers at the wedding I went in search of roast. 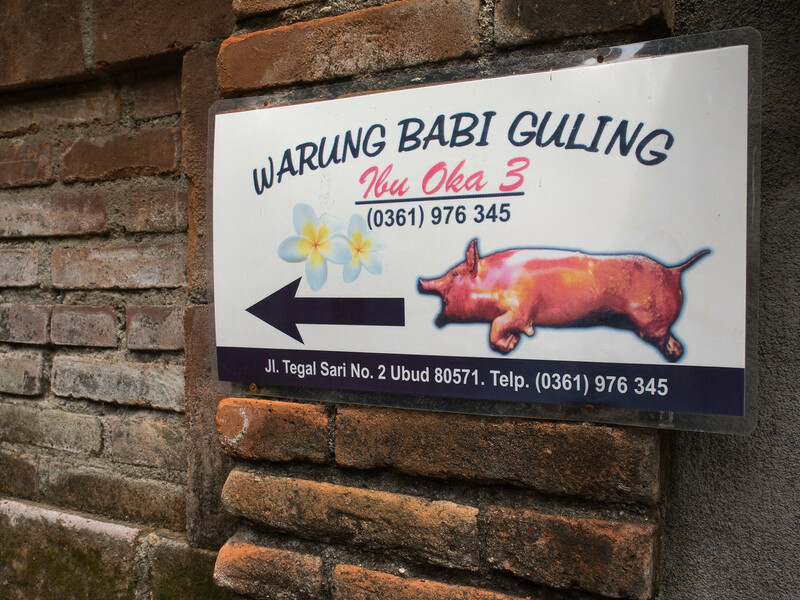 I hadn’t wandered very far before I found “Ibu Oka”, the babi guling or Balinese roast sucking pig restaurant. As it turns out the place is quite a tradition in Ubud so I thought I would give it a try. I have to admit that the meal was delicious but not quite as good as mom’s. What Is the Cost of Living in Bali for a Month? After getting exhaustingly stuffed it seemed prudent to get even more relaxed with an hour-long traditional Balinese massage. It was exactly the thing I needed before the arduous five-minute motorcycle ride back to my little villa in the rice fields for a nap followed by perhaps a sunset cocktail. Okay, maybe I did have to make a few compromises. I am missing my family and some of our traditions. Maybe next Easter we can all meet up somewhere in the world and make some new ones. If we do — mom, you are going to have to cook. In the meantime: Selamat hari Paskah from Indonesia! These photos are absolutely stunning. I love the colours, and the faces of the young men in the first photograph, LOL! 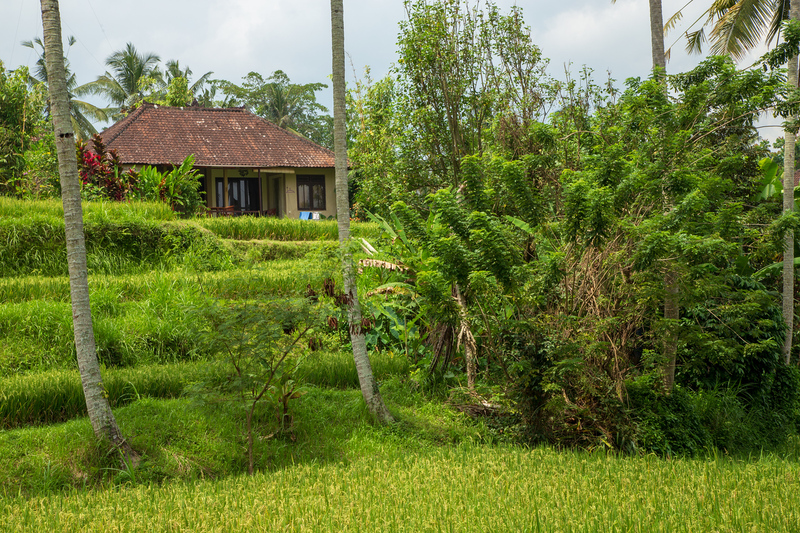 Bali, and Ubud in particular, seem to be really spectacular! It really was serendipity (my best friend), that put me on to the wedding! 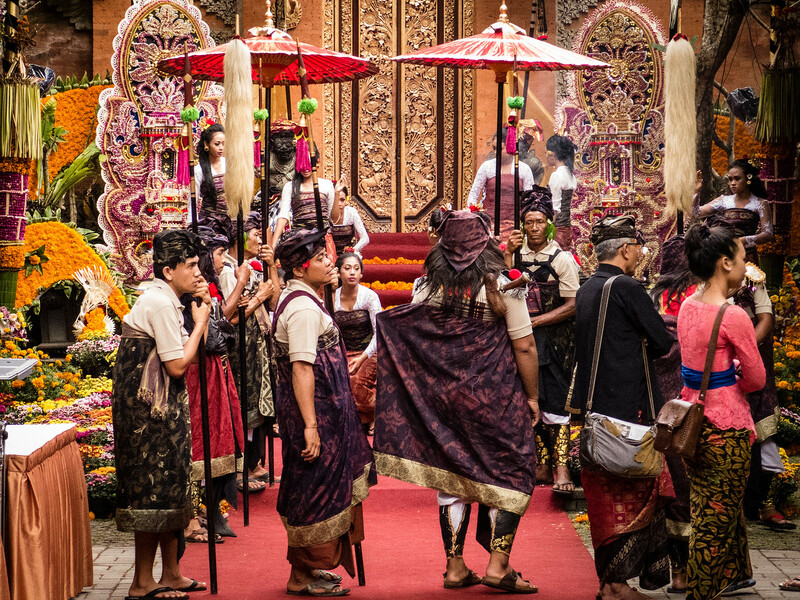 There is a lot of ceremony on Bali but this really exceeded all expectations.